We had the most fantastic day at the Christmas Ho Ho Hopen on the last Friday before Christmas. 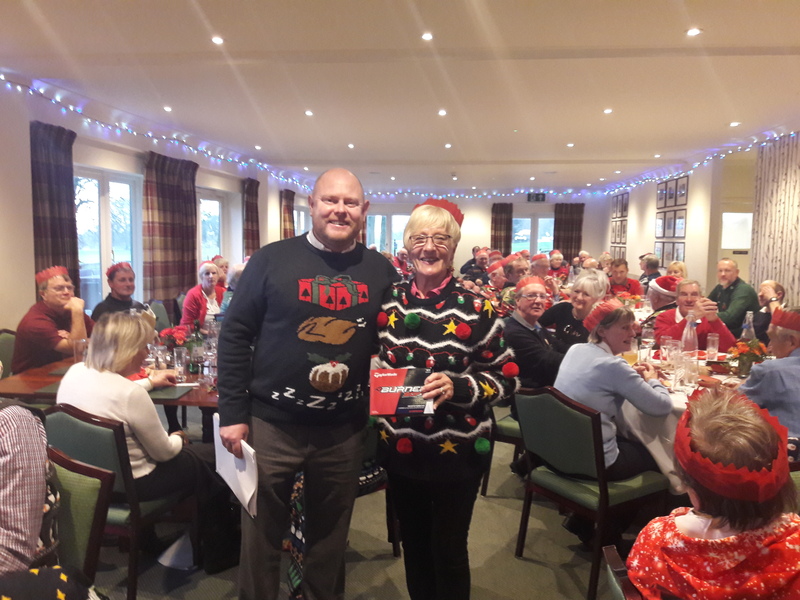 Support for the day was huge again & players were treated to a Texas Scramble competition, warming glasses of port on the course & a fabulous meal to finish. 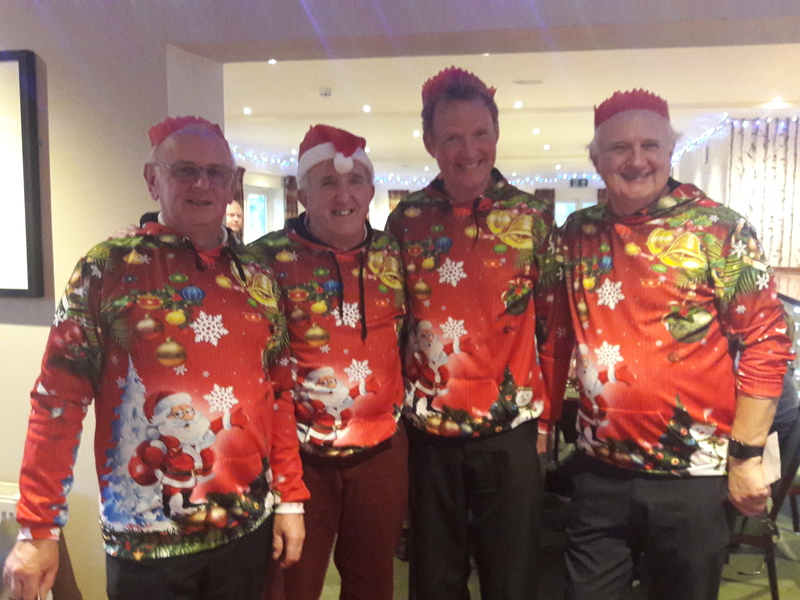 Playing conditions were quite tough, with a strong wind blowing, but this was not enough to deter our intrepid players, complete with their Christmas jumpers. 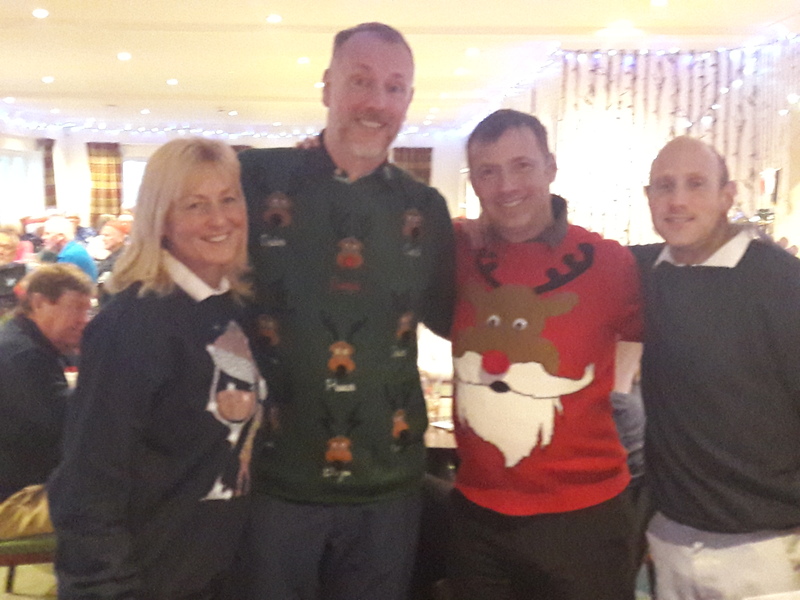 The winning team was made up of Mark Horsman, Steve Reid, Jane Homer & Ian Griffin, who shot a gross 62 for a net 56.5. 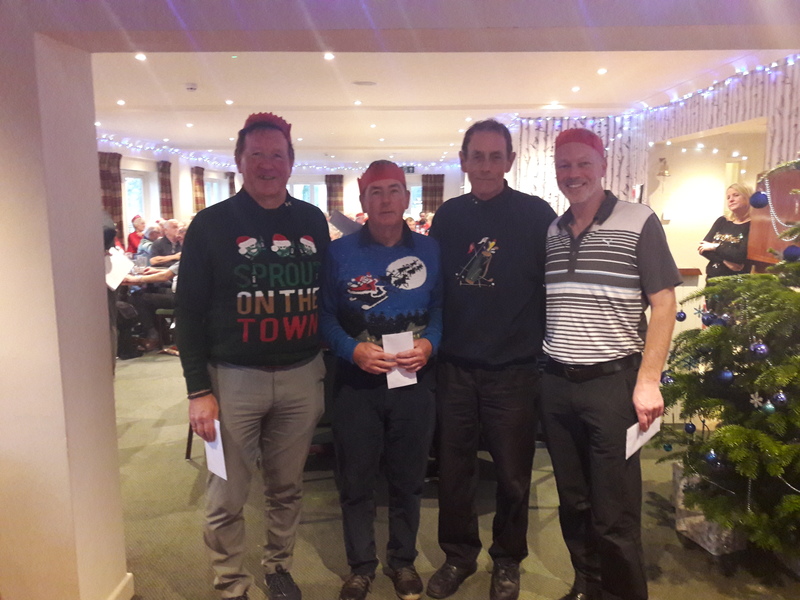 In second place were Mike Gray, Ray Francis, Roger Aplin & Nigel Maidment (63 – 5.5 = 57.5). And third were David Spaven, Alistair Ross, Alex Taylor & Tony Crouch (64 – 4.7 = 59.3).